So many different art forms whirled around me that the day felt like a dance with the world. Multicultural studies bliss! I listed the National Museum of the Middle Ages as one of my all-time fave places to get medieval. Paris was the biggest city in Northern Europe in the 13th century, and it spearheaded Gothic style. So the graceful tapestries from rich homes and statues from cathedrals were no surprise. But an ensemble was rehearsing medieval music, and their stately harmonies (often fifths apart) wafted through the rooms. 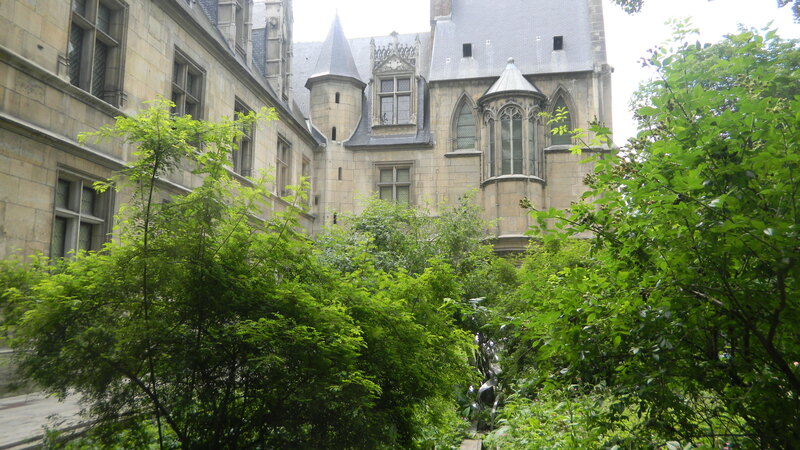 And all this medieval stuff was in a medieval building–a 15th century mansion built for the leaders of a monastic order called Cluny. I broke the day’s budget on CD’s in the museum’s shop. I then walked along the Seine to the Quai Branley. So after savoring the stately Gothic art, I was immersed in the lilting abundance of forms that a long walk along the Seine bestows. Then it was time to rock. The Quai Branly’s cool forms and colors stand out from the Eiffel Tower’s abstract shape. For good reason–it’s not your father’s Paris. But it might become your child’s–I saw several groups of school kids inside, and they’re getting more exposed to the world beyond the West than past generations have. 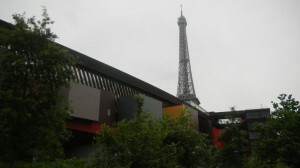 The Quai Branly houses collections of art from the Third World. 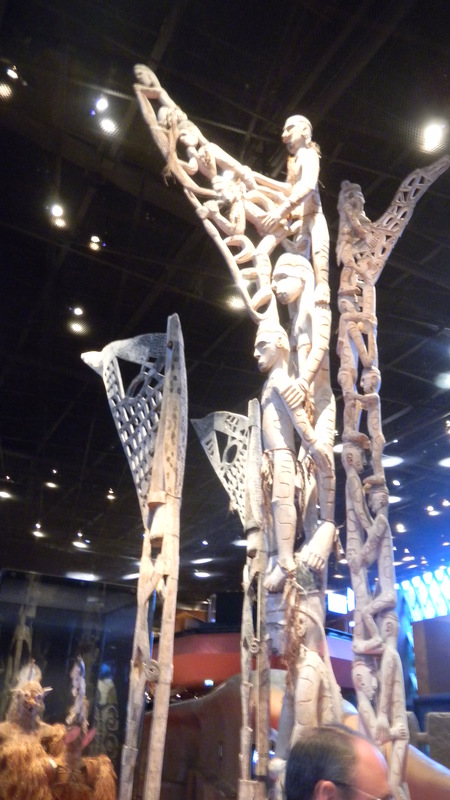 It has 4 permanent sections: Asian, African, Native American (North, Central, and South), and South Pacific. It’s full of multi-media exhibitions, including a room showing videos of musical performances from all over the world. Those sure aren’t Gothic arches. But they were as meaningful in New Guinea as cathedrals were in the Medieval West. 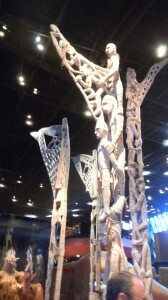 They’re ceremonial ancestor poles. Ancestors have been central in Melanesian communities. They created much of the world order, and art that depicts them keeps links between the living and the ancestors vital. So Parisian kids today are being shown a variety of cultural patterns that extends far beyond the diverse forms that Westerners have celebrated Paris for. Do you want to get medieval? Want to go global? 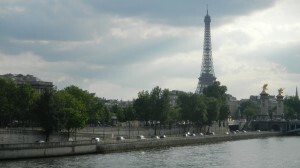 You can do both in one day in Paris, with an unforgettable stroll along the Seine in between. Every day in Paris can be a work of art because you can combine so many forms that the whole world glitters. Previous post: Paris Will Be Your Child’s Teacher; Are You Cool Enough To Keep Up?